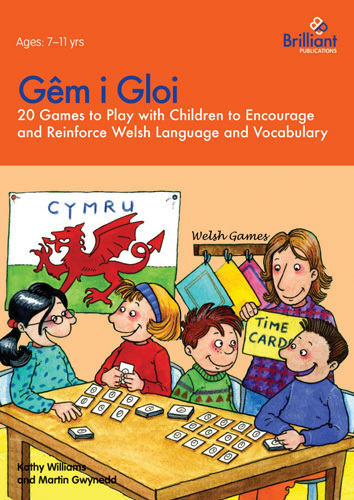 Gêm i Gloi contains 20 easy-to-play photocopiable games that are a fun way to practise speaking and listening to Welsh. Playing games is the perfect way to learn a foreign language as children will practise speaking and listening is a relaxed way so that they learn without realising it! 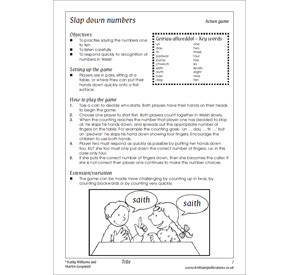 The games are flexible and can easily be adapted to teach other Welsh vocabulary besides the given examples. Extension activities provide suggestions for varying the games, so you can keep using and reusing the games. 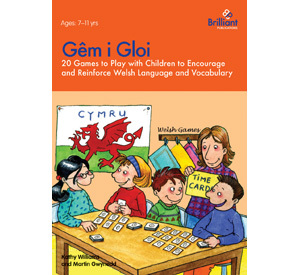 Gêm i Gloi has been developed for use with children at primary school, ages 7 - 11 (Key Stage 2). Full teaching notes are provided in English.